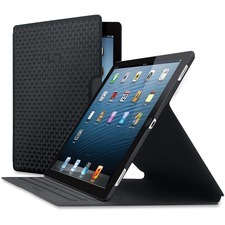 Keep your iPad Pro safely protected throughout your travels with this slim case. Textured surface enhances your grip to ensure you always keep a solid grasp. Protective tray keeps your tablet securely in place without covering the stereo speakers for clear audio. Microsuede-like interior protects the delicate outer surface from scuffs and scratches through daily use. Magnetic cover automatically sleeps and wakes your device by simply lifting or closing the cover. Adjustable design allows you to position your tablet at a comfortable angle to prevent straining muscles during extended use. Rear camera opening lets you capture photos without removing your device from the case. Durable polyester construction adds a strong layer of support and protection to keep your tablet in its original condition. 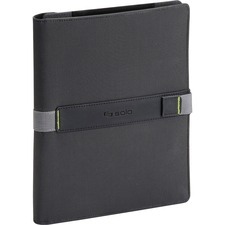 Use this one case for countless brands and models of tablets and eReaders with screens from 8.5" to 11". The universal-fit technology uses elastic bands that stretch and retract, causing the tensioned fit corner clips to hug almost any device for a continuous snug grip. This case is made with a durable, polyester body and offers two viewing angles that adjust to minimize glare. Magnetic strap ensures booklet stays closed. It keeps virtually all brands protected including but not limited to: Apple (all generations), Kindle, Samsung, Google and Asus. 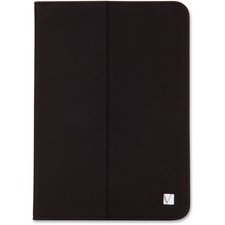 Keep your iPad mini safely protected throughout your travels with this slim case. 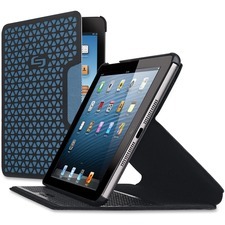 Protective tray keeps your tablet securely in place while protecting it from bumps and scratches through daily use. Magnetic cover automatically sleeps and wakes your device by simply lifting or closing the cover. Adjustable design allows you to position your tablet at a comfortable angle to prevent straining muscles during extended use. Rear camera opening lets you capture photos without removing your device from the case. Durable polyester construction adds a strong layer of support and protection to keep your tablet in its original condition. Removable SmartConnect Case (patent-pending) allows your iPad Air or Air 2 to be protected and used in-folio, freestanding or while handheld. Executive folio offers both vertical and horizontal tablet orientations in three versatile angles for optimal viewing comfort and productivity. 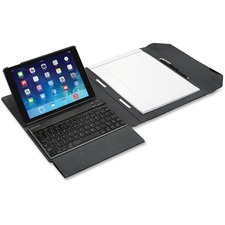 You can conveniently carry and work with your iPad and paper, whether you're right-handed or left-handed. All-in-one mobile workstation includes a detachable Bluetooth keyboard (iOS, Android and Windows compatible) with its own ballistic nylon carrying case and integrated wrist support for increased comfort and productivity. 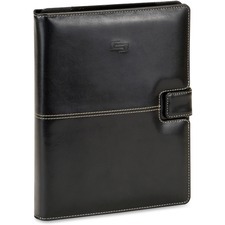 Made of durable, protective ballistic nylon, this slim, all-in-one folio also features a magnetic closure, two business card holders, a pen loop, file folder and refillable letter-size writing pad pocket. It coordinates with other mobile accessories from the Fellowes MobilePro Series line. To protect your table from damage, this Universal Fit Table Case adjusts to accommodate tablets or eReaders from 8.5" to 11". Its unique rear design offers enhanced leverage when viewing at multiple angles. Swivel mount back allows portrait or landscape view. 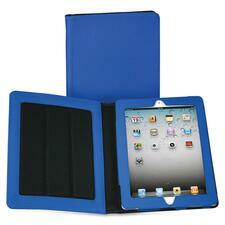 Magnetic strap ensures that case stays closed and tucks away so it does not obstruct screen view when not in use. Universal Folio Case provides full front and back coverage for 10" tablets and e-Readers, protecting your device from scratches and scuffs associated with everyday wear and tear. Durable, lightweight materials are built to last. Design keeps your tablet snug and secure with four sturdy elastic straps in each corner. Keep the case closed with a magnetic closure. Slim profile and light weight is perfect for mobility. Smart Stand feature lets you fold the case and stand your tablet horizontally to compose e-mail, type notes or watch movies with ease. Case exterior features soft-touch material for handheld comfort. Storm Universal Fit Tablet/eReader Case offers the flexibility to use one case for countless brands and models of tablets or eReaders. Tensioned clips are designed to securely hold virtually all brands of 8.5" to 11" tablets and eReaders. Swivel mount back to view portrait or landscape at multiple angles. Magnetic clasp ensures that the case stays closed. This iPad case transforms easily into an easel that allows multi-angle viewing and includes a small notebook and stylus/pen so you're ready to work or play. Take notes easily and quickly with the matching MiracleBind notebook. 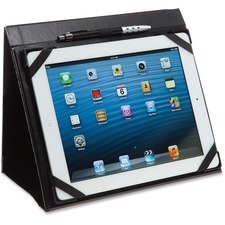 Elastic band and retaining corners fit and hold your iPad 2, 3 or 4 in place. Folding cover protects your screen and secures with a magnetic closure. Design also features a pen loop and camera hole so you'll always be ready for candid shots. Business-style, classic Vicuana material matches your favorite Rediform notebook. 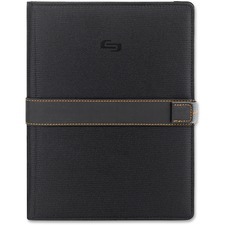 Three-in-one case includes a 150-page, hard-cover notebook (9-1/4 x 7-1/2") and a combined stylus/pen.